Cambridge Farmers’ Market No ratings yet. 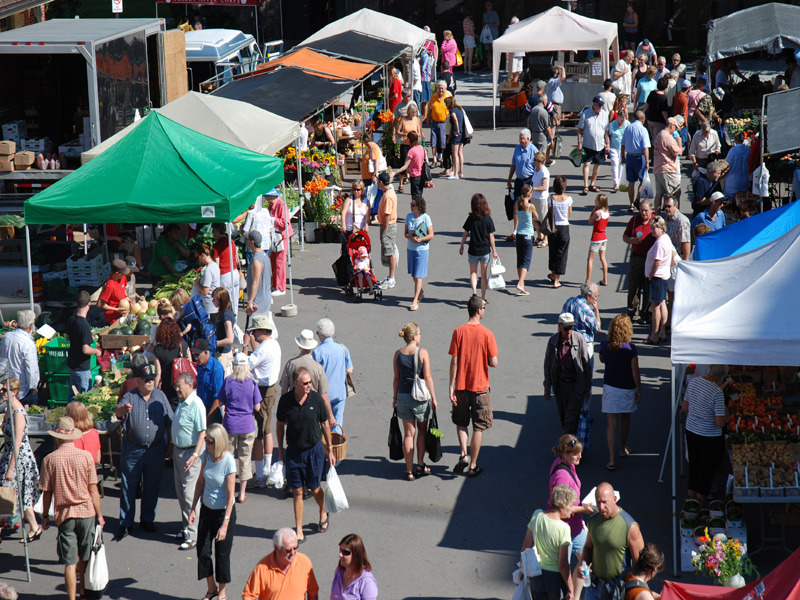 The Cambridge Farmers’ Market has been in operation circa 1830 making it one of the oldest markets in the country. Since this time, it has remained at the same location and has maintained its reputation as a true Farmers’ Market. There are vendors who sell fresh meats, fresh baked goods, cheese , cold cuts and sausage, European breads, baked goods, fresh poultry, maple syrup and honey, farm fresh eggs, ethnic foods, as well as home made crafts and one of a kind items. The main feature, however, is the farmers and their fresh picked fruits and vegetables, including organic. All of the vendors come from within a 100 km. radius of the Market. The Market is located at 40 Dickson Street – at the corner of Ainslie & Dickson Streets, downtown Cambridge. Click here for downloadable Google map. Parking is available behind the Cambridge City Hall next door, with direct pedestrian access to the Market. Handicap Accessible. Saturdays – 7 a.m. to 1 p.m.
Wednesday Outdoor, Seasonal Market June 3 to October 7th, 2015 – 8 a.m. to 1 p.m.